Qantas international chief executive Alison Webster has resigned after less than two years in the role, the airline announced on Thursday. In a short statement, Qantas said Webster’s last day at the company would be April 24 2019. No explanation was given for the resignation. Kumar was currently “overseeing planning for key changes to the airline’s long-haul fleet”, Qantas said. His Linkedin profile lists his job title as executive manager international aircraft programs. Webster, who has been at Qantas since 2004, was appointed chief executive of Qantas international in August 2017 as part of a wider restructure of the company’s leadership team. Her previous roles have included executive manager of freight, catering and airports, head of Qantas cabin crew and executive manager for customer experience. She had previously worked at British Airways. The leadership change at Qantas comes as the airline is evaluating whether to order an aircraft capable of operating nonstop from Australia’s east coast to London and New York under Project Sunrise. There has also been the introduction of Boeing 787-9 aircraft into the Qantas fleet, which has facilitated the introduction of Perth-London Heathrow nonstop flights and will lead to the eventual retirement of the 747-400/400ER fleet by the end of 2020, when the airline celebrates its centenary. And Qantas has also planned to have its Airbus A380 fleet of 12 aircraft refurbished with new cabin products. 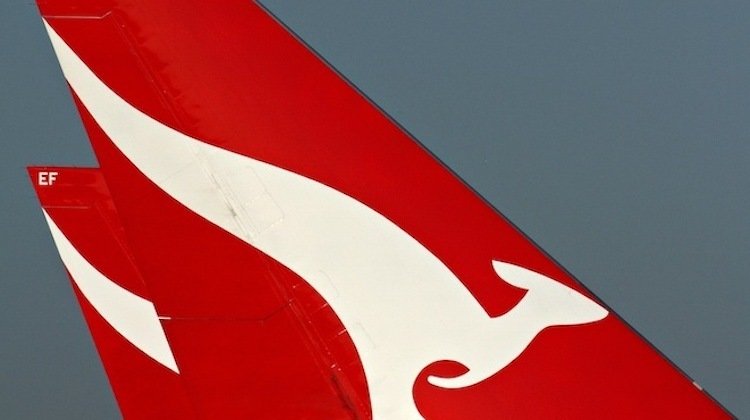 Qantas international reported a 60 per cent decline in underlying earnings before interest and tax (EBIT) for the six months to December 31 2018. The airline’s 2018/19 half year results showed underlying EBIT fell from $222 million to $90 million, while revenue grew 6.7 per cent to $3.7 billion. Fuel costs for Qantas international rose $219 million in the half, Qantas said in a slide presentation accompanying its financial results. 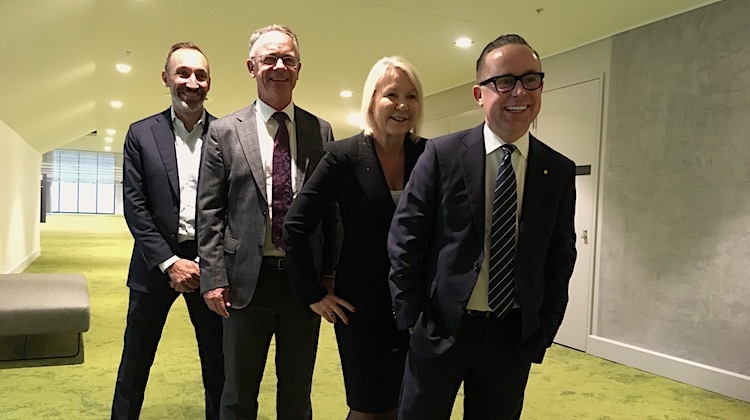 Alison Webster, third from left, alongside Jetstar group chief executive Gareth Evans, Qantas domestic chief executive Andrew David and Qantas chief executive Alan Joyce in June 2018.